When I first got interested in rowing, I had no idea about the resistance systems that rowers use. I thought they were more or less the same. But, after reviewing so many rowers, the differences are very clear to me. So in case you are starting out as clueless as I was, or even if you have some idea but want more details, I have put together an explanation of each resistance type to help you choose the one that will work best for you. Each type of resistance will give you a different rowing experience based on its characteristics. If you are reading this, congratulations! You are well on you way to making an informed decision and this is a much better way to choose a rower than simply getting the one that you see advertised on TV or the one that your friend has. 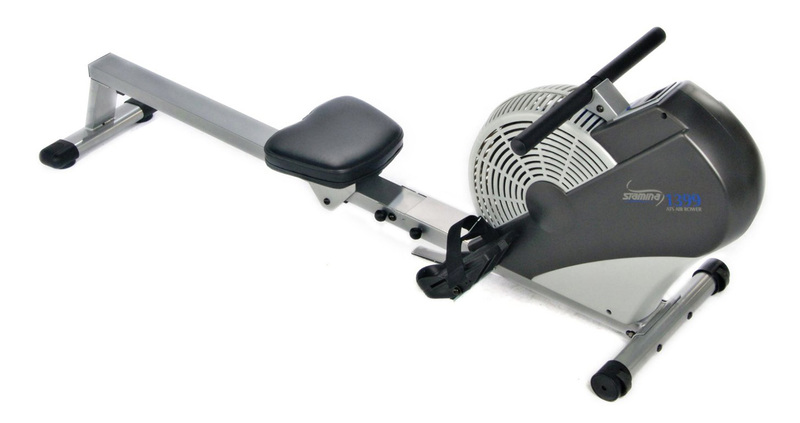 Everyone is different and has unique requirements when it comes to a getting a rowing machine. Taking the time to learn about the different resistance systems will help you to find the one that will give you the best results. 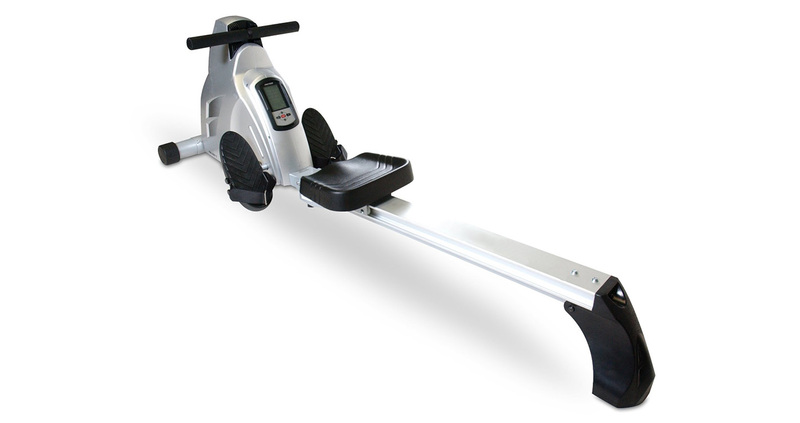 Magnetic resistance rowers are characteristically quiet and compact in size. 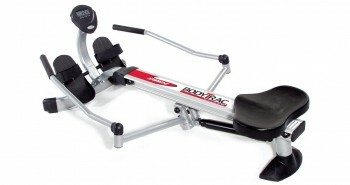 For this reason they are commonly the preferred choice for people like me who want a rower to use at home. 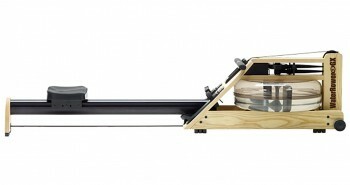 So how does the magnetic resistance system work on a rower? A magnetic brake controls the amount of resistance that you get when you are rowing. Rowers that use this type of system are able to accurately measure the level of resistance. This means that you will be able to adjust the resistance level according to your specifications, and you will normally have a wide range of resistance levels to choose from. The workout data that is displayed on the monitor, such as your distance, speed and calories burned, will be more accurate as well. There is no friction produced by a magnetic resistance system and that is why this type of rower is virtually silent when in operation. I love a rower that is silent! I look forward to being able to hear my TV shows when I am working out. Another thing I like about magnetic resistance rowers is that they usually have a very smooth glide. This is because they tend to have heavy flywheels and as a rule of thumb, the heavier a flywheel, the smoother the rower will glide. This type of rower is also usually smaller than water- and air-resistance rowers, which makes them ideal for small spaces like my apartment. Rowing machines that get their resistance from the air that is created by spinning the flywheel are referred to as air resistance rowers. You basically pull the handle on the rower, this makes the flywheel spin and as it spins it creates wind that gives resistance. The harder you row, the more wind is generated and the more resistance you will get. If you want less resistance simply row with less intensity and the resistance will naturally decrease as you create less wind. You control the level of resistance with your rowing motion so you won’t find any knobs or buttons to adjust the levels on most of these types of rowers. However, there are a few that have levers that can be used to control the resistance level by adjusting the airflow. When compared to hydraulic resistance rowers, air resistance models tend to have a smoother, more natural stroke that mimics rowing in open water. 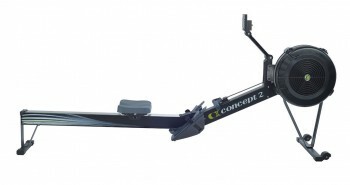 The Concept2 is one of the most popular air resistance rowers on the market despite a hefty price tag. Air resistance rowers are somewhat noisy, but the smooth rowing motion that they provide makes them a popular choice among rowers. 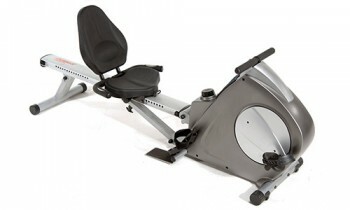 This type of rower is very popular in gyms and homes alike. The compact size and budget friendly price are normally the two main reasons for choosing a hydraulic piston resistance rower. This type of rower gets its resistance from the two pistons attached to its handlebars. When you pull against the fluid or air compressed inside the pistons, you get resistance. This is the only type of rower that will let you have different levels of resistance on either side as you can adjust the level of resistance on each handlebar independently. For people who have balance issues or maybe have one arm that is stronger than the other, this can be a real benefit. They also tend to be quieter than most flywheel rowers and, as I mentioned earlier, they normally fold up to a very compact size and so can be easily stored away. On the down side, the pistons have been know to leak on occasion, but you can use a mat under your rower to keep your floor/carpet out of harm’s way. The pistons will get hot during your workout, so be sure not to touch them. Water resistance technology is the new kid on the block of resistance systems in rowers. They work using paddles that are suspended inside an enclosed tank for resistance. When you row, the paddles spin and use the water for resistance. The faster you row, the more resistance you will get. Similar to air resistance rowers, the water resistance models allow you to adjust the level of resistance by changing how fast you are rowing. One major difference, though, is that water rowers are not as noisy. The paddles in the water do make a swooshing sound, but it is not normally very loud and many people find the sound to be relaxing. This type of water resistance system gives a very realistic feeling of rowing out in open waters and for this reason it is favored among those who enjoy outdoor rowing. The type of resistance that you choose will depend on your budget, workout space and individual fitness needs. I cannot recommend any one type over the other, as they all have features that will make them ideal for different reasons. One thing is sure, however, and that is that whichever resistance type you choose, you will still be able to get a full-body, low-impact workout with your rower. Once you select the resistance type that you think will work best for you, check out my reviews for that type of rower to further narrow your options.